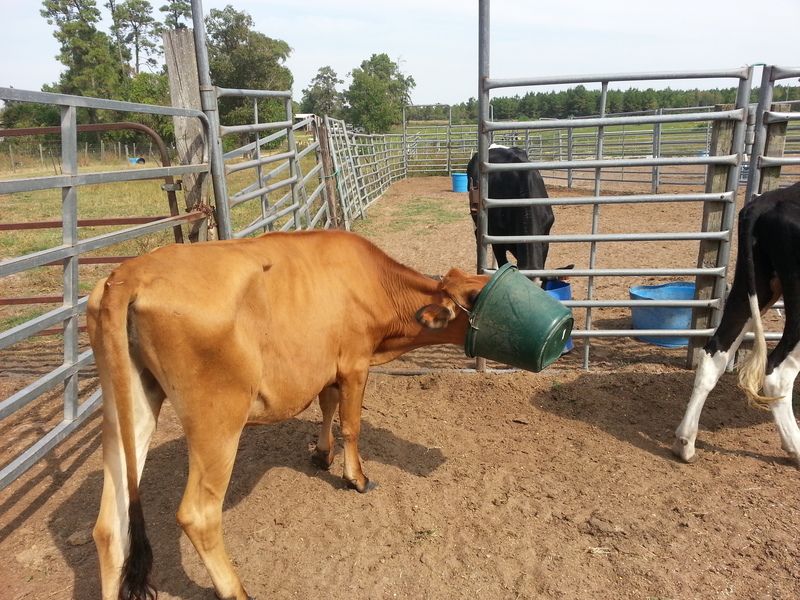 The other day we went out to feed our heifer cows and came across this girl who seem to take it upon herself to invent a new cows way of eating with little effort. Unfortunately she was unable to figure out how to get it off, good thing us humans were around! Feeding just got a whole lot easier!